www.homestretchsweepstakes.com – Rocket Mortgage Homestretch $250,000 Cash Sweepstakes. Win $250,000 cash in the Rocket Mortgage Homestretch Sweepstakes! The Rocket Mortgage Homestretch Sweepstakes begins on March 18, 2019 at 9:00:00 a.m. Eastern Time (“ET””) and ends on April 7, 2019 at 11:59:59 p.m. ET (the “Sweepstakes Period”). Twenty (20) First Prize Winners will win a VIP trip to the Kentucky Derby at Churchill Downs in Louisville, KY! 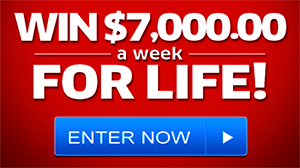 One lucky winner will receive $250,0000! Good Luck Everyone! 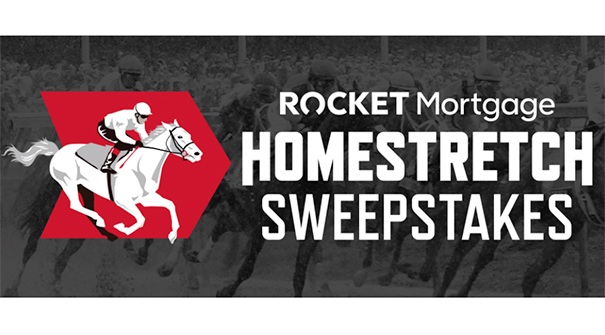 The Rocket Mortgage Homestretch Sweepstakes (the “Sweepstakes”) will award Twenty (20) First Prize winners a trip for two to attend the Kentucky Derby in style at Churchill Downs on May 4, 2019. The Sweepstakes is open to legal residents of the fifty (50) United States (including the District of Columbia) who are twenty-one (21) years of age or older. During the Sweepstakes Period, Entrants can enter the Sweepstakes by submitting the Sweepstakes registration form, available at www.homestretchsweepstakes.com (a “Registration”). Entrants must complete the Registration form with all required information. (1) Grand Prize and Grand Prize Determination and Verification: (1) Grand Prize: $250,000 awarded in the form of a check in the name of the winner. Quicken loans is so good to me and my son.. after his mother my wife got cancer and passed away sudden quicken loans protected us through it all. she was only 46 he was 11 so hats off to all of you guys… now I’m shaking off the depression and wanting to enjoy things in life.. you all are very professional and kind.. thanks to you guys.. mouzon s. murray..